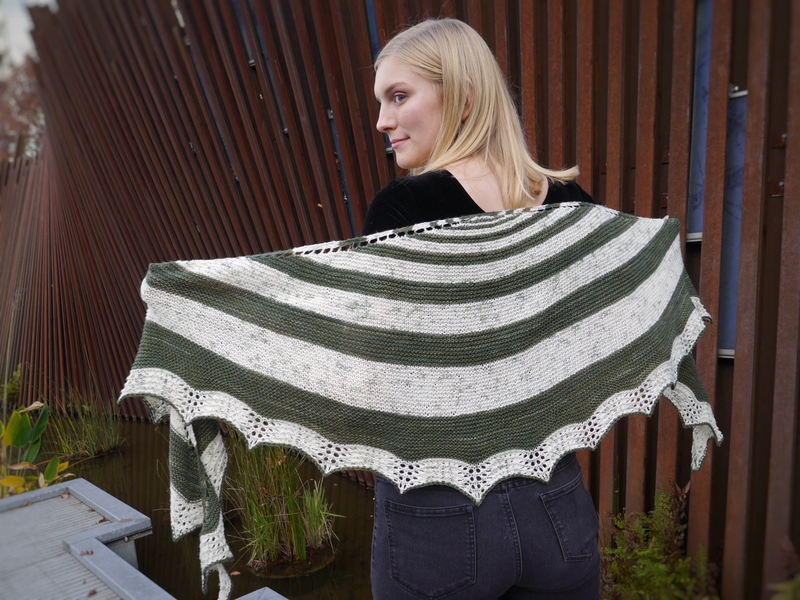 The Tilt Shift Wrap is live! 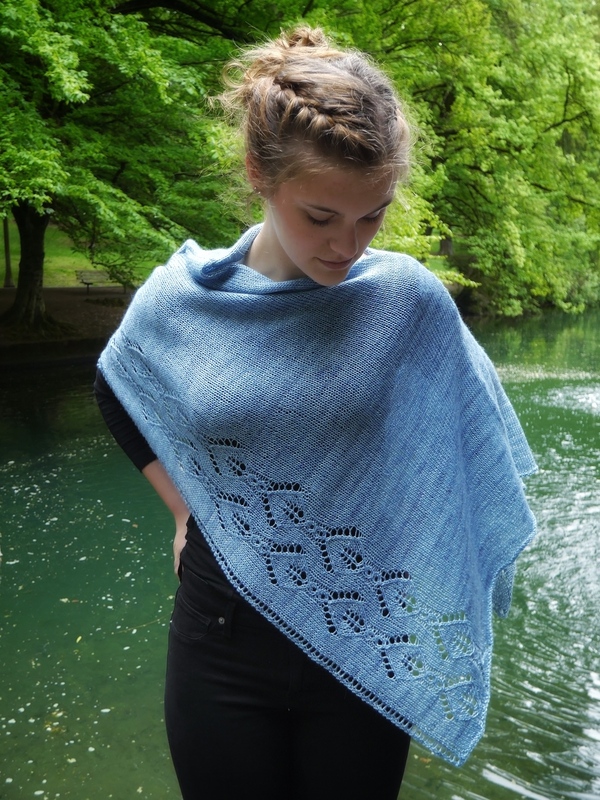 This wrap features an intriguing woven cable that is knit through itself rather than simply crossed. 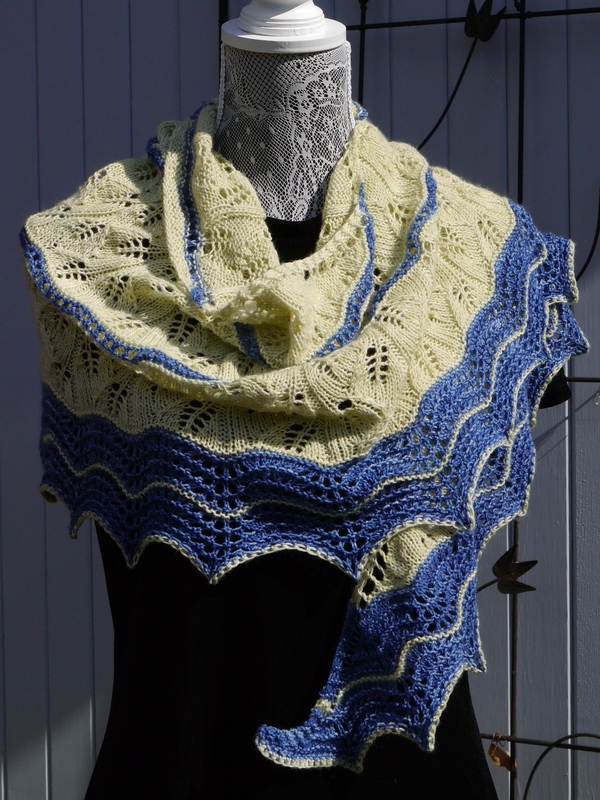 It is knit flat in one piece with DK weight yarn, then folded and seamed. 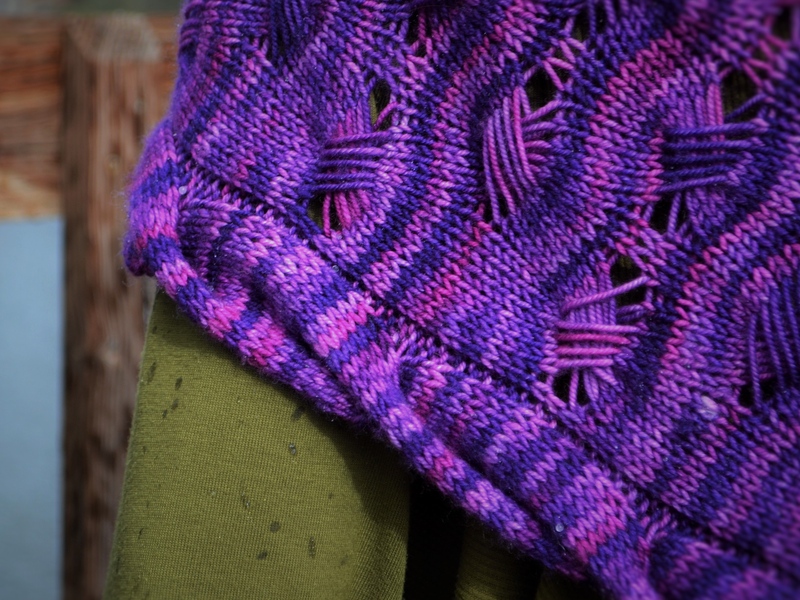 An edge cable mimics the undulations of the tilting stitches. Complicated? 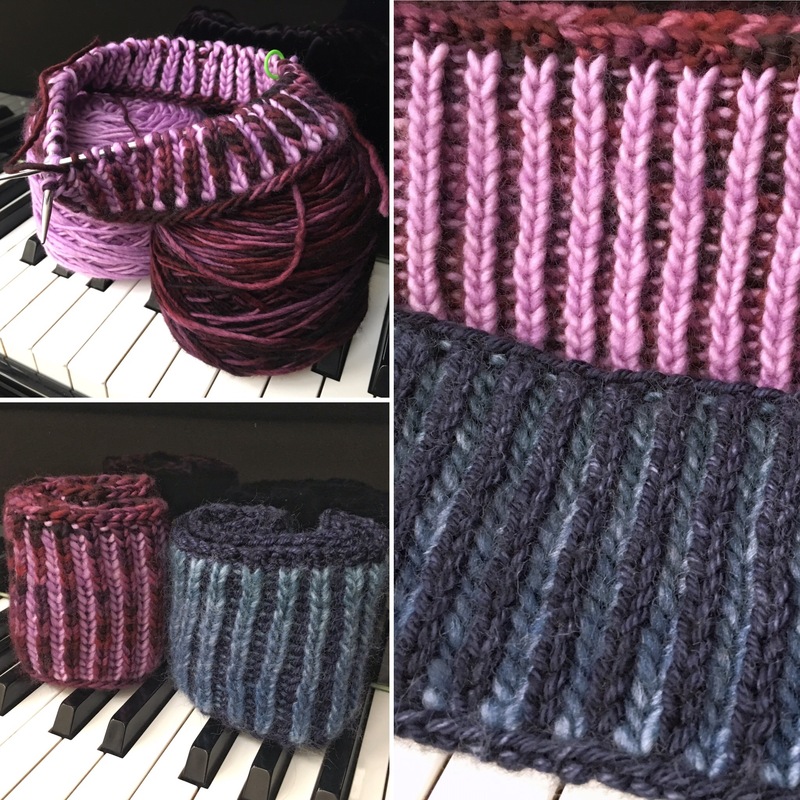 80% of the rows are just soothing stockinette stitch. 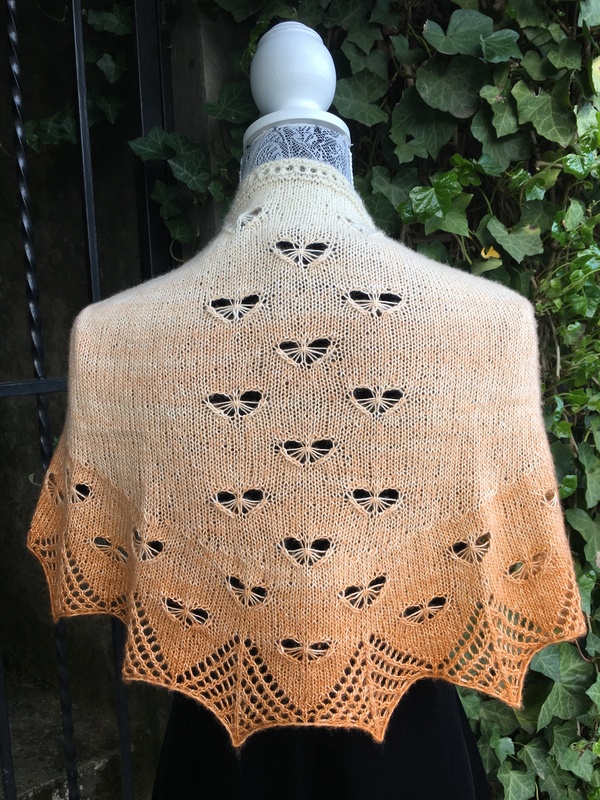 This design is perfect for semisolid tonals. You could call it a poncho, but I don’t want to give you flashbacks to the 1970’s. So we’ll call it a wrap, and just keep that P word our little secret. 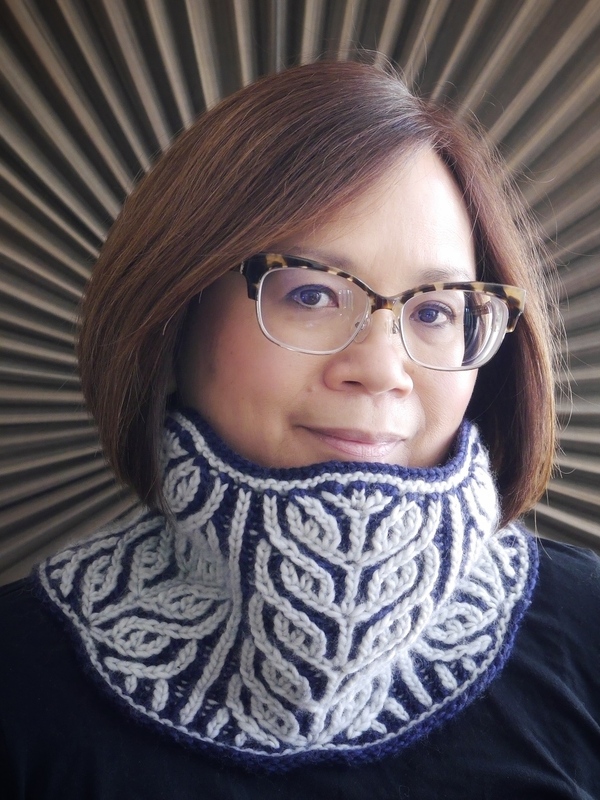 The pattern includes a link to a video tutorial for the woven cables. Easy peasy! 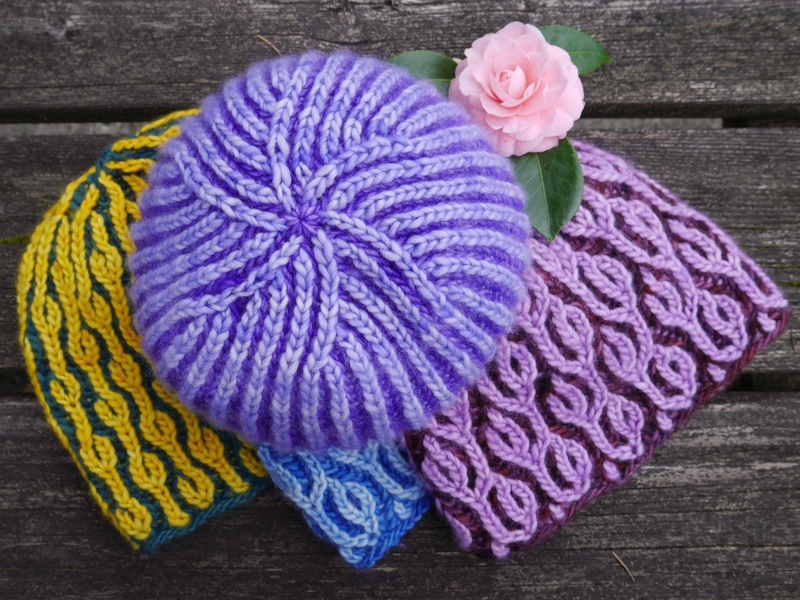 To celebrate this pattern launch, I’m offering $1 off through March 31. Get it while it’s hot! Use coupon code CABLE for the discount. 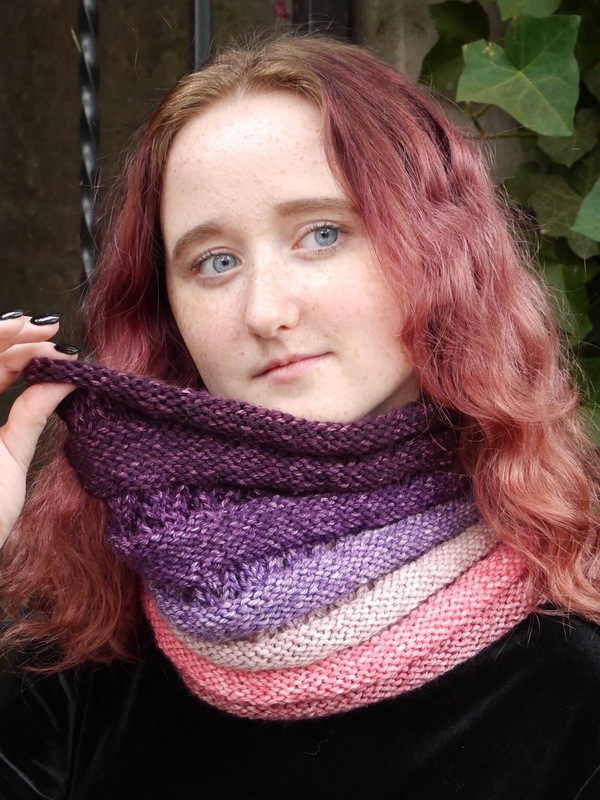 Here’s a link to the pattern page. 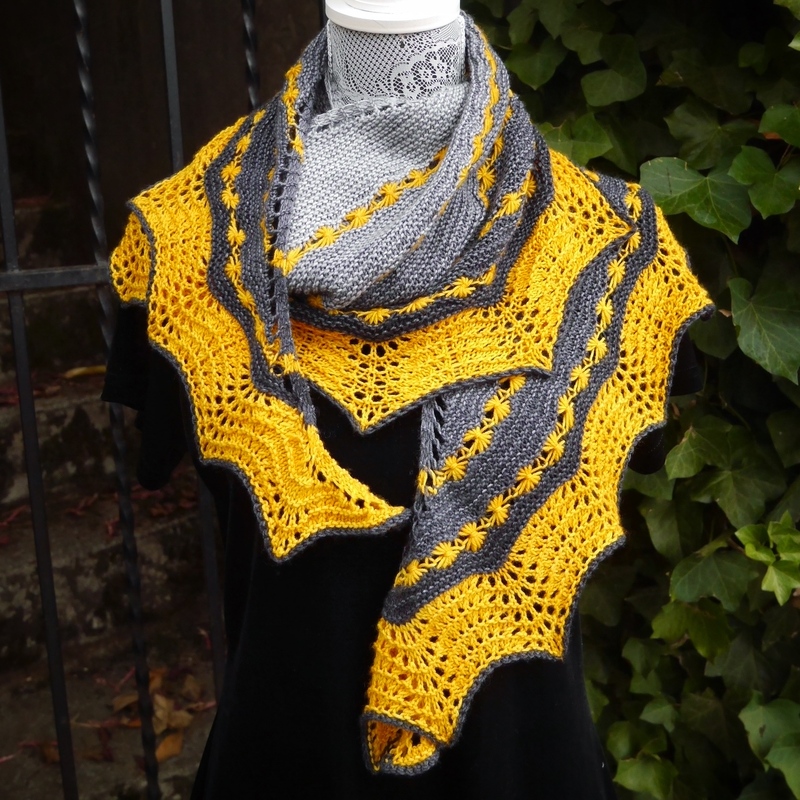 I’m hosting a knitalong (KAL) through my Ravelry PDXKnitterati group beginning April 1. 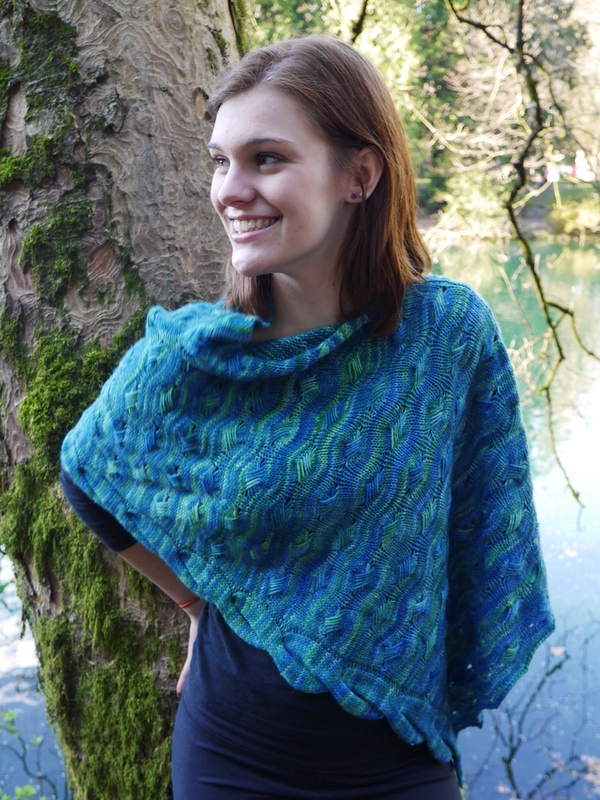 And we’re planning an in-person get together at Wool ‘n’ Wares, for those who can make it. I’ll post details on that soon. 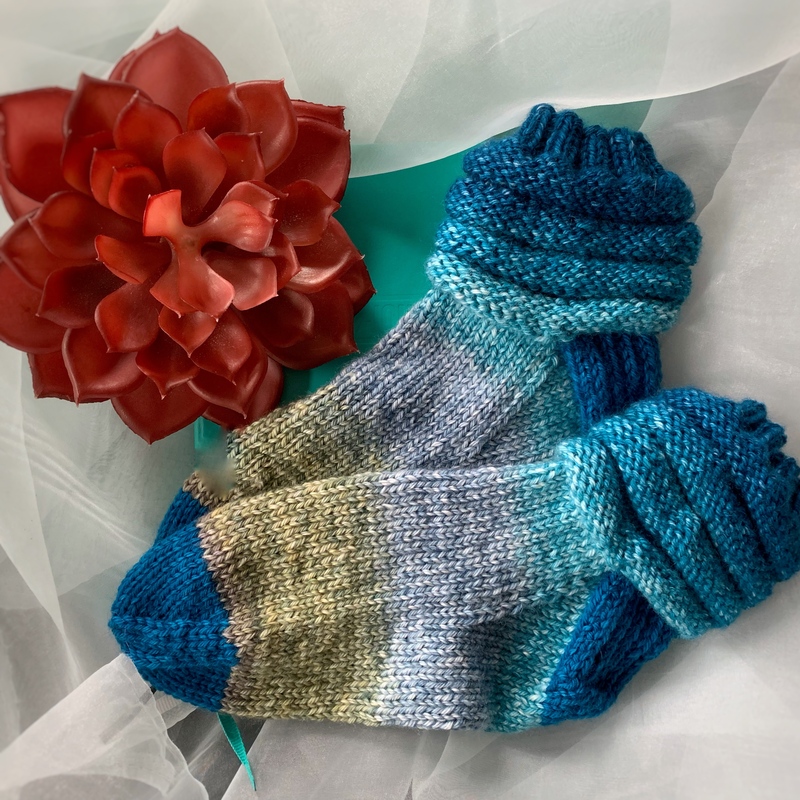 Edit: Wool ‘n’ Wares KAL party will be Friday, April 3, from 1 to 4 p.m. They’re located at 21580 Willamette Drive, West Linn, OR 97068. Be there if you can! 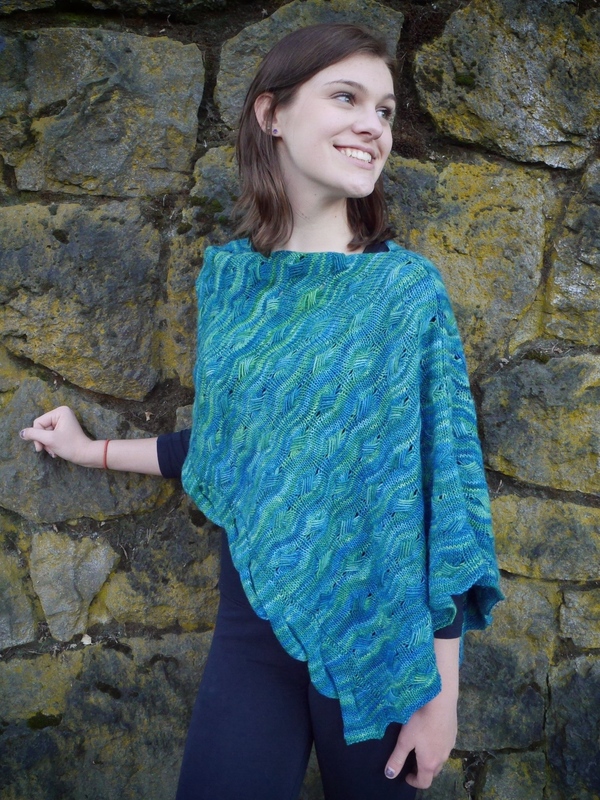 I knit the green version in Malabrigo Rastita, color Solis. It’s a lovely single ply, slightly felted yarn. 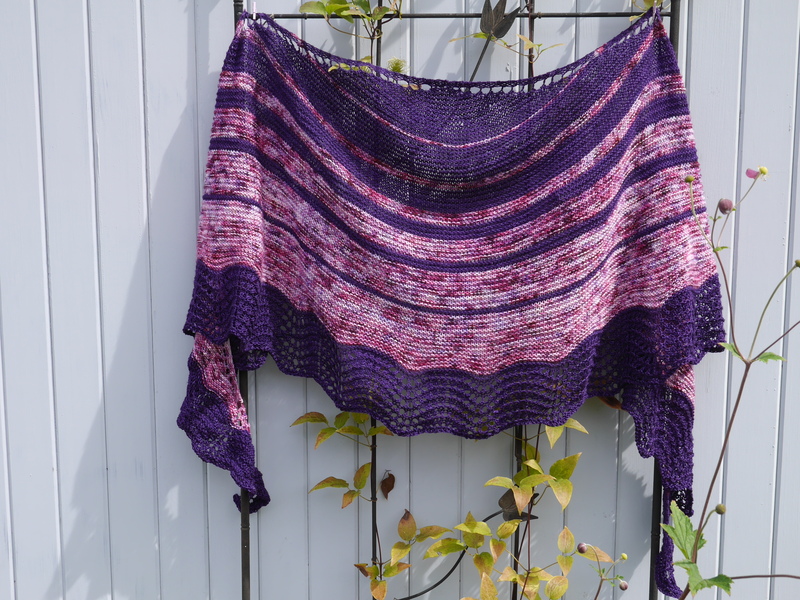 Sarah Peery knit the purple version in Black Trillium Fibre Studio Sublime, color Tyrian. Three 100g skeins of either will make a nicely sized wrap. 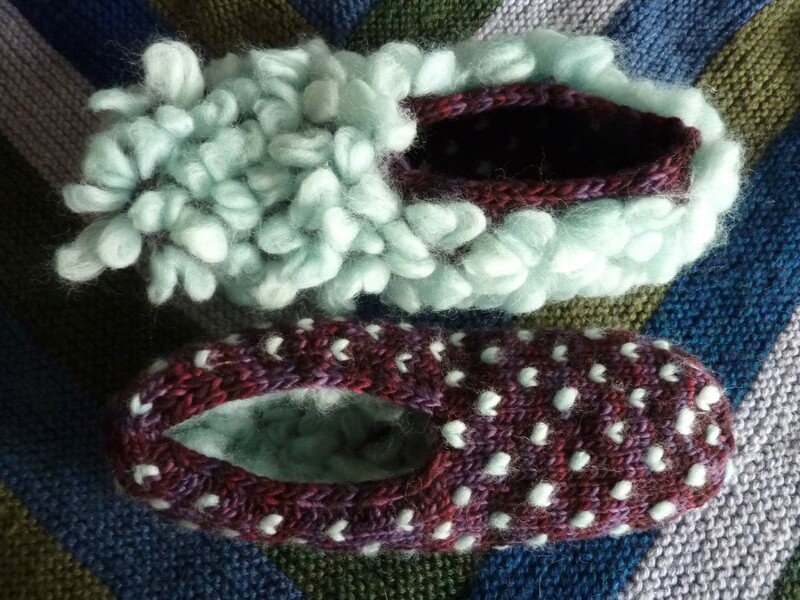 Thanks to Sarah for knitting (and photographing), and Melanie at Black Trillium Fibre Studio for the lovely yarn. 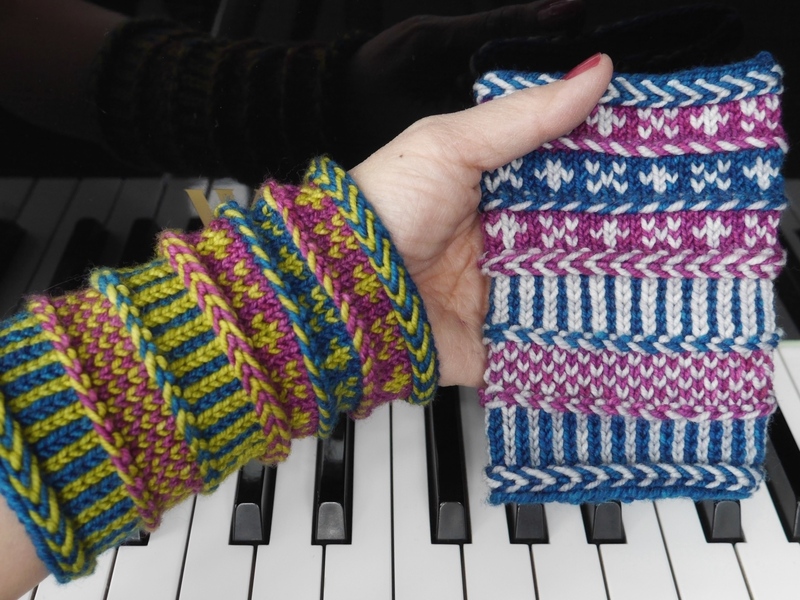 Hope you’ll come knit along! 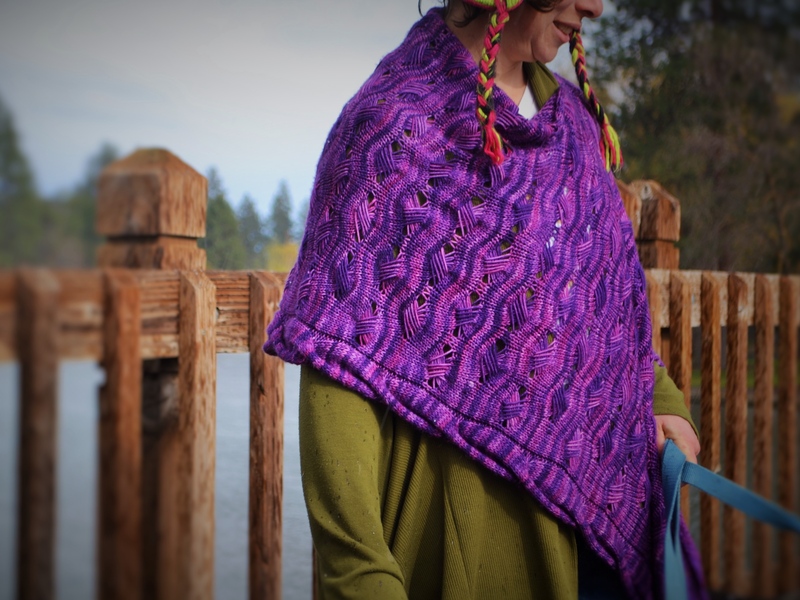 This entry was posted in KAL, Knit, pattern design, yarn and tagged black trillium fibres, DK weight yarn, kal, poncho, tilt shift kal, tilt shift wrap. Bookmark the permalink. Beautiful. 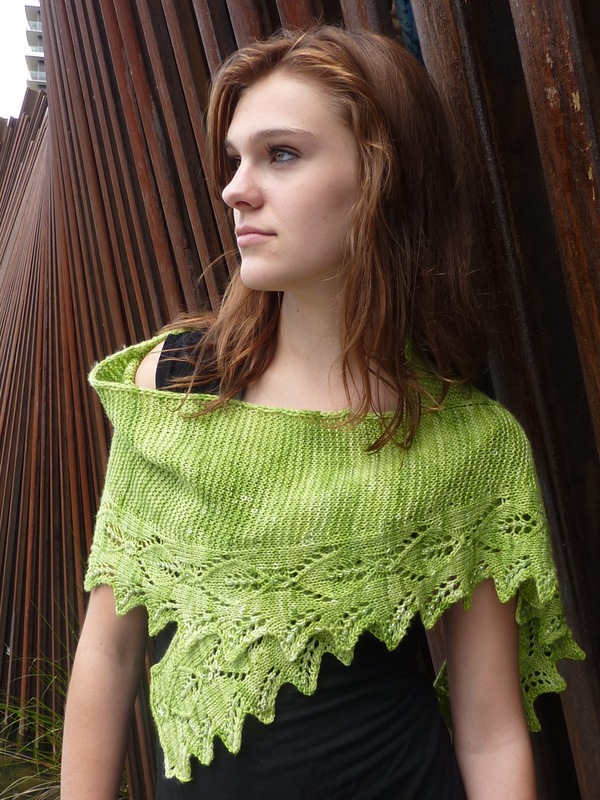 Reminds me of another 70s staple — broomstick lace. Thank you. I never did broomstick lace. I tried macramé once, but found it fussy trying to even up my knots. Drats- the coupon code won’t work – logged out and in several times. Beautiful pattern. I love it! Apparently it was set for midnight…GMT! I changed it to Pacific, and also extended it to April 1, just in case you don’t see this tonight. 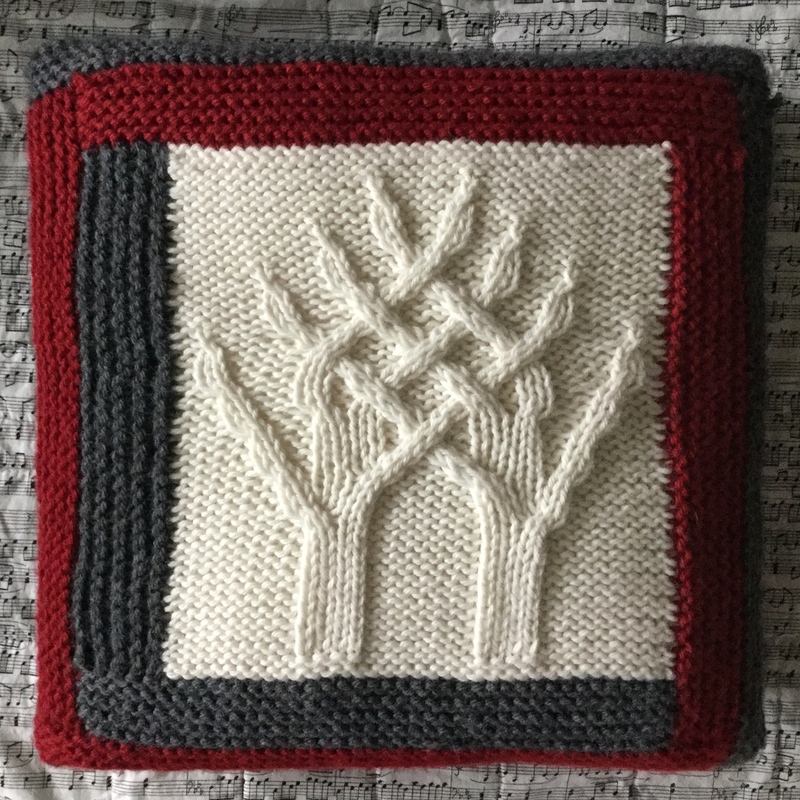 Hoping you can join the KAL, too!